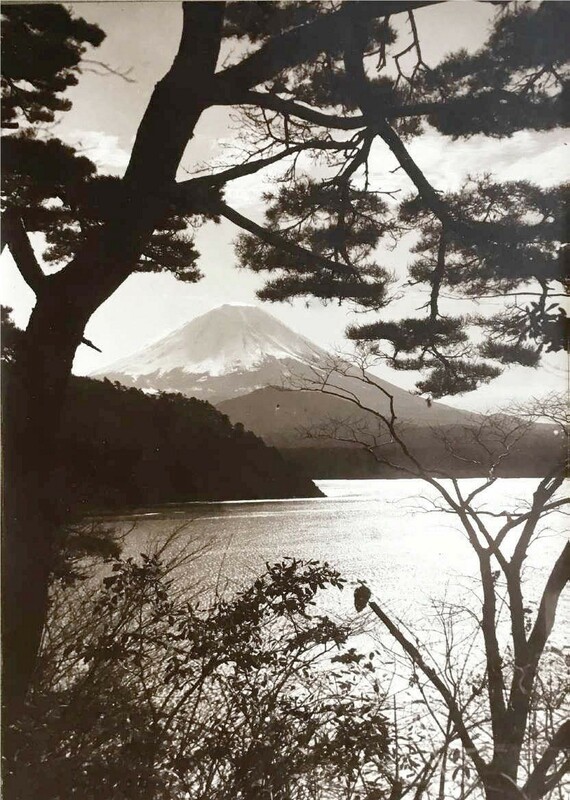 Herbert Ponting’s photograph of Fuji from Shoji Lake (1905) is offered by Daniella Dangoor for £1000 at the London Photograph Fair: Special Edition. They were taken in the 19th and early 20th centuries by a group of photographers including Felice Beato (1832-1909), Kusakabe Kimbei (1841- 1934) and Baron Raimund von Stillfried (1839-1911). Among the images is one taken by Herbert Ponting, best known for his later work as the photographer on Scott’s disastrous expedition to the South Pole. Writing about Fuji, he said that “it is a glorious sight, but one before which the art of man is powerless, for the scene is too vast and too far reaching for him to reproduce it by any craft he knows”. The 1905 photo shows the mountain from Shoji Lake. The fair, dedicated to vintage photos, albums and photobooks, runs from May 18-19 in the Great Hall at King’s College London, next to Photo London’s venue, Somerset House, supplementing the organisation’s regular fairs that take place in Marylebone. It advertises itself as the only established fair devoted to vintage photography in the UK. Twenty exhibitors are set to stand, with themed offerings including a collection of experimental photographs by Lou Landauer (1895-1954) from Linus Carr. Some exhibitors have pooled their resources to stage exhibitions such as Out of The Blue – The Cyanotype Collection, Death, Murder and Mayhem, and Travel and Exploration. The Classic, a free new magazine dedicated to specialist photography collection, is also to be launched at the fair. It was set up last year by French dealer Bruno Tartarin and collector Michael Diemar of London. “I felt that the classic photography market needed a real boost, something substantial. Having thought about it for a while, I decided to start a magazine. While the web is very useful, there is nothing like holding a beautiful magazine in your hands,” Tartarin said.